Bredas research is in the field of performance management. Specifically, she has focused on the role of management control systems in enabling innovation and organisational ambidexterity and in managing organisational tensions. She has also examined the responses of individuals to pressures induced by management control systems. Her research studies have investigated these issues in a number of different contexts including audit firms, medical device companies and green energy construction companies. Breda has received funding for these research studies from IRCHSS, NAIRTL, and Chartered Accountants Ireland. 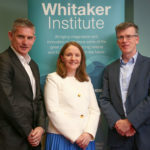 Breda (along with Dr. Emer Curtis) has given industry workshops in Galway and Dublin on 'Using Management Controls to enable Innovation' and also led a CIMA CPD workshop on this topic. Breda received best paper awards for her 2009 paper in Accounting Education: An International Journal and 2016 paper in Journal of Accounting and Organisational Change. Bredas research interests are in the field of performance management. Specifically, she is interested in how management use control systems to foster innovation and manage tensions in innovative industries. She has previously examined management control in audit firms and business ethics. She has published widely in these areas in international accounting and business journals.